If you are looking for a totally awesome, fun group activity that includes a bit of everything ... then one of these two Packages could be for you! Bowhunter Experience : 2.5 hour session : Recommended Age 14+ ~ Ideal for Birthdays, Stag Do's & Hen Parties, and very popular with Corporate Groups , Team Building Events. Bowhunter Party Package : 2 hour session : Recommended Age 10-16yrs or Mixed Family/Friend age groups ~ Birthdays and Special Celebrations .. or any reason to have a party then this one is for you! Both sessions include the 3d Fun Target Zones, then several games of the highly addictive and very fun Combat Dodge Archery. PLUS Complimentary cake and refreshments. 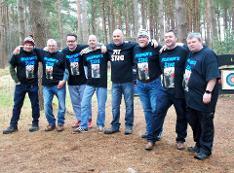 Afterwards you have use of the Gas BBQ and the picnic area so you can continue to enjoy yourselves with your friends, family or work colleagues. This package can be tailored to suit your party, so if you want a bit more "Fun Archery" rather than the Combat Dodge Archery - we can do that too! 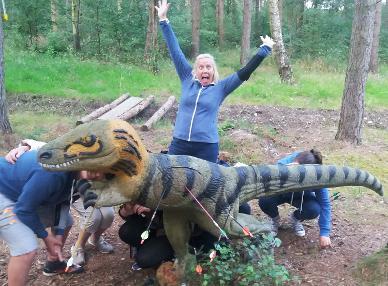 We can also extend the experience, if required, by adding extra team building and fun quiz with arrows, depending what your group requirements are! Everyone will have a great time and we can make it as educational as you want it to be... or just FUN! Contact us to book your special date for your Archery Adventure !